Finally: a message was received from outer space! At first glance it seems that it contains a sequence of 9 numbers coded as beeps and pauses. Large pauses group 3 numbers together, suggesting a relation might exist between them. Scientists immediately start transmitting our standard welcome message containing mathematical constants. For a while it looks as though no one listening until suddenly a second message is received. This message repeats only 2 numbers for a long period of time. Maybe we're supposed to respond to it in order to make contact. Can you help scientists figure out what we should answer? 1) Does the narrative contain any clues that help solve the problem? 2) Is the color coding of the numbers important? If yes, how was it derived from the beeps and pauses? 1) Not really. Other than establishing the setting and the fact that there is a relation /separation into triplets. It's just something the forum does to things put in code. I guess it interprets everything after /* as a comment until it reaches a closing */. Might be a dumb questin but what exactly are the */*'s supposed to represent? Look at which explains it. Indeed the setting is the same as in that puzzle (forgot to make it more obvious this time), but the operation is not the same, of course. I actually had a list of questions, but I answered some of them myself through logical deduction. Others are below. Will any two real numbers always return an answer that is a real number? Does -4 */* -2 = 5? -5? Or is there even a logical answer? I've also discovered that while a */* b = c, typically xa */* xb does not equal xc (if we disregard x=0, x=1, or [maybe] a=b=c). There is a logical answer. It's neither of those. That's not a question, but I guess you wanted me to say "yes" to that so: Yes. I'm caught up in matrices. Just 1 question, are these numbers following decimal number system? All that the OP states is that the message was written down and passed on to you as it was received (e.g. four beeps and a pause were translated as 4 because this is how *we* write 4 using the decimal numbering system). I can't really stop you think at anything. All the OP says is the message we received. The rest is, as the title suggests, a mystery. As I said, the decimal numbering system is there to transmit a message between humans - you would not want the OP to say: "beep beep beep beep pause beep beep pause beep beep beep beep beep." It's simply simpler for humans to convey the information (4,2,5) in a decimal way e.g "4 beeps pause 2 beeps pause 5 beeps big pause ... makes us think there's a relationship between those beeps before the big pause." Well, you just confirmed that these numbers are decimal numbers. The OP dosn't just talk about the message. It also provides a particular interpretation of the message. Should we not assume that the interpretation of the message is correct and think of possible different interpretations? That is what I was trying to find out when I asked my previous question about the narrative containing hidden clues. 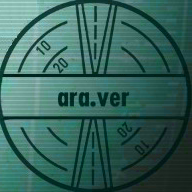 Is the puzzle about finding a mystery operation based on the interpretation given in the OP or is it about interpreting the message and figuring out how to respond to 48 beeps followed by 73 beeps? 2) The fact that the numbers represent in the decimal system the number of "beeps" is also given (from my previous response). It just a matter of easy communication (among us, humans) of how many beeps were received. So when the OP says (x, y, z) it does imply that x beeps then y beeps then z beeps were received. 3) The fact that the operation actually considers these numbers / looks at them in a decimal number system is neither given nor contradicted by the OP. Another way to look at it is this: Imagine the same race as in Mystery Operation 1. They use base 3. If they would want to transmit number 4, the easiest/unambiguous way would be to transmit 4 beeps (which does not depend on the particular numbering system any receiving race might have). If they transmit "beep space beep" (11), then 11=4 only for races that use 3 as a numbering system. So, it seems that the inherently unambiguous way to transmit a number is to just transmit the same number of beeps. Of course, any receiving race would write it down in their own numbering system, but no receiving race should (Occam's Razor) assume that the transmitting race transmitted digits in their own numbering system. Think of it as a sort of "Assume it's numbers not digits, as digits may lead to ambiguity" golden rule of interspecies communication, ok? There's nothing broken, I double checked. Nah, I trust you know what you're doing. I broke my pencil lead. I went all anime and just stared at it in disbelief, my eyes asking: "Why would you break on me? Have I wronged you in some way?" I'm going to go back to the problem at hand, though. 121. Coincidentally (or not), it's also the sum of the two numbers. 48 */* 73 = ? ~150. Maybe just a bit higher. I haven't worked out the mechanics of it (yet). But I'm still probing base 5 by hand. A note: I've been using the first number as a column base and the second one as coordinates. I can't say that it's anywhere near right yet, though. Another interesting thing to note is 100 */* 93 = 186. @Araver: Is 100 */* a = 2a? Or is that just a coincidence in this case? EDIT: I don't think it's coincidence. And if you can't see my bold number 5 above, this is a note that it's bold. I'll underline it. That is a very interesting idea and indeed worthy of a mystery operation . 100 */* a is not always 2a. I'll add an example where it's not, OK?